Marines headed to Camp Lejeune, North Carolina, on permanent orders are being advised to look elsewhere for housing, as the base and surrounding areas are still recovering from the effects of Hurricane Florence, which inundated the region in September. The Marine Administrative Message 627/18 recommends that Marines headed to the base delay their dependent travel and look for housing at a location other than the base "due to Hurricane Florence and the subsequent lack of available housing aboard MCB CamLej and the surrounding areas,” the MARADMIN states. A base notice reported that 70 percent of the Lejeune-area homes had received some damage from the hurricane. As of Oct. 27, all exterior and interior visual assessments had been completed. Nearly 80 percent of tree work and limb removal was finished. Only 8 percent of scheduled demolition or repair jobs were done. “At this time, Camp Lejeune hasn’t seen a significant increase in the inventory of available housing to warrant a shift in our ability to accept new families who are scheduled to PCS here,” Base spokesman Nathaniel Fahy told Marine Corps Times. Ongoing housing recovery progress updates will be posted to the base Facebook page and the Atlantic Marine Corps Communities webpage. The housing news comes on the heels of the closing of Onslow Beach, a popular on base beach frequented by Marines and base residents for recreation, camping and cabin rentals. 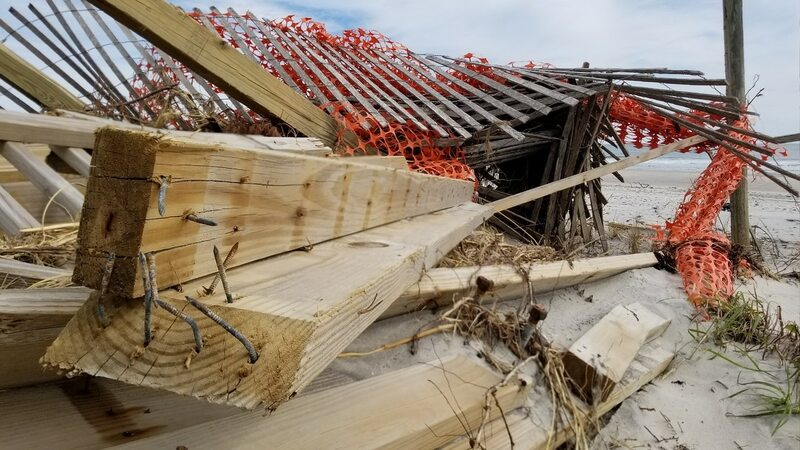 Fahy said II MEF units used heavy equipment to remove larger debris from the beach but recreational portions of the area remained closed. Recreational lodging is not expected to open until early next year. The beach was closed until further notice on October 26. Training areas have reopened, however. Marine Corps leadership caught public attention before the storm as the then-base commander, Brig. Gen. Julian D. Alford decided not to evacuate the base but instead to order Marines to shelter-in-place. The decision sparked social media posts criticizing the decision by angry family members and Marines who saw the move as a way to save money that could put those on base at risk. “The majority of Camp Lejeune is NOT in a flood prone area. We have very reliable historical data on what areas would be affected by storm surges and flooding and have already directed the relocation of those personnel and residents away from those vulnerable locations,” Alford said in a Facebook message on Camp Lejeune’s social media page.